There are certain flavors that I start to crave around the holidays. And mint is one of those flavors. I'm a huge fan of mint chocolate chip ice cream and get strangely excited for the Andes mint chocolates that Olive Garden gives you with your check. 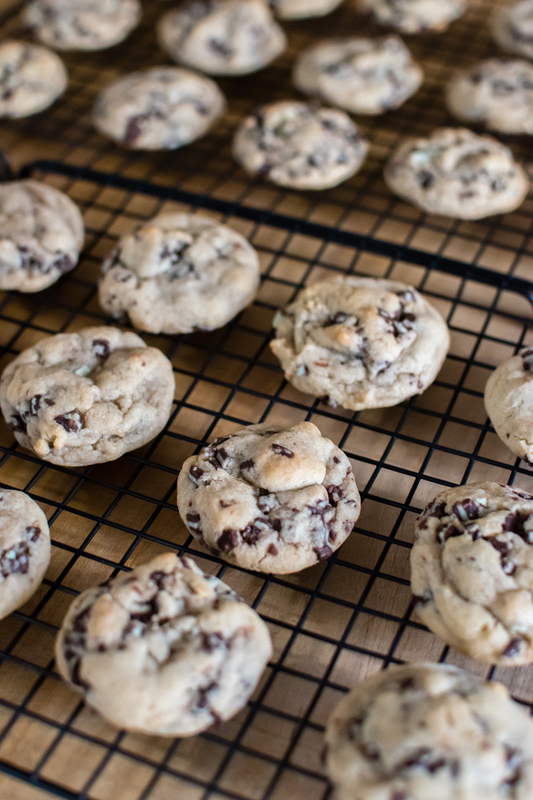 Noah seems to share my love of mint, so I decided now was the time to make some Andes Mint Cookies. I usually bake with Noah, but recently the cookie recipes I've been making require me to make the dough and then refrigerate it for a couple of hours before baking. So instead, I've been having him help me with the measuring and mixing, but then do the actual baking on my own. While it was a change of pace for me, there was something about baking these cookies at night that made it more calm and relaxing. Perhaps it was the soft glow from the stove light and the glass of wine I drank while waiting for the oven timer to ding. Cream together the butter, light brown sugar, and granulated sugar until lightly and fluffy with a handheld or a stand mixer. Add in the egg and cream everything together. Slow mix in the flour, cornstarch, baking soda, and salt until the cookie dough has formed. Fold in the Andes Creme De Menthe baking chips. Wrap the cookie dough in plastic wrap and store in the refrigerator at for least 3 hours or up to 72 hours. When ready to bake, the dough may be too firm to work with, so you may need to let sit on the counter for an hour or so. Preheat oven to 350 degrees. Line a cookie sheet with parchment paper or a silicon baking mat. 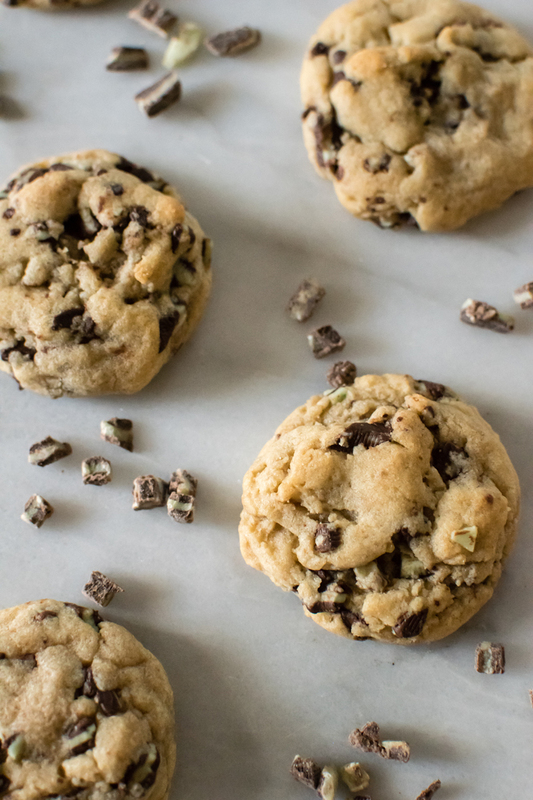 Scoop 1.5-2 tablespoons of cookie dough onto the cookie sheet and bake for 9-11 minutes. 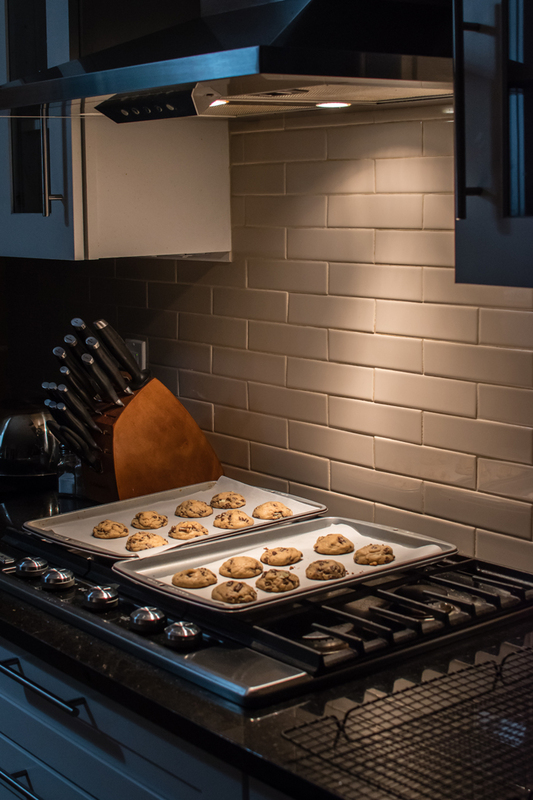 Remove from oven and allow the cookies to cool for 2 minutes, and then transfer to a cooling rack. Now excuse me while I finish off this whole plateful of cookies myself... they are that good! 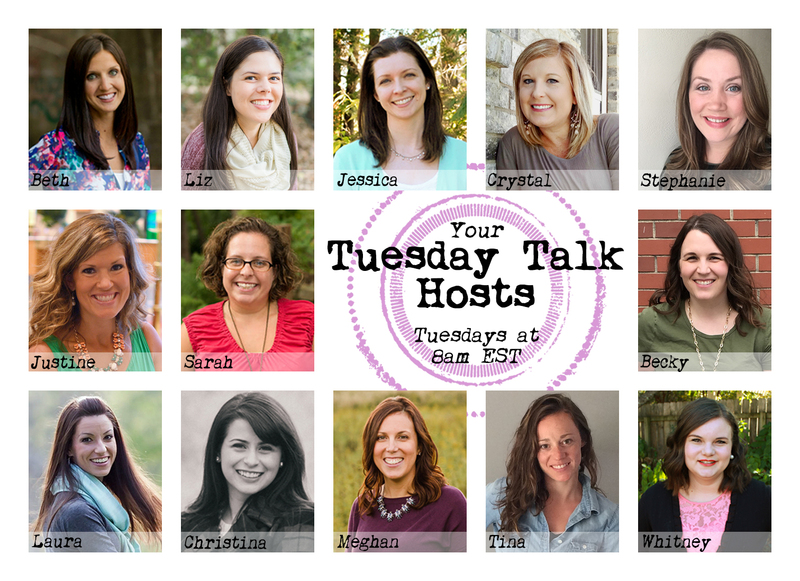 I'm linking up with Chasin' Mason, Work It Mommy, Seeing All Sides, and Sweet Turtle Soup for their Foodie For a Year Linkup. Head on over to check out a bunch of other Holiday Goodies! These look so good! My Godmother is one of the creators over at the Andes plant! We always get some chocolates for Christmas. haha! One of my favorite things about these cookies is the whiff of mentholyness when you open the oven door. Love Andes cookies. 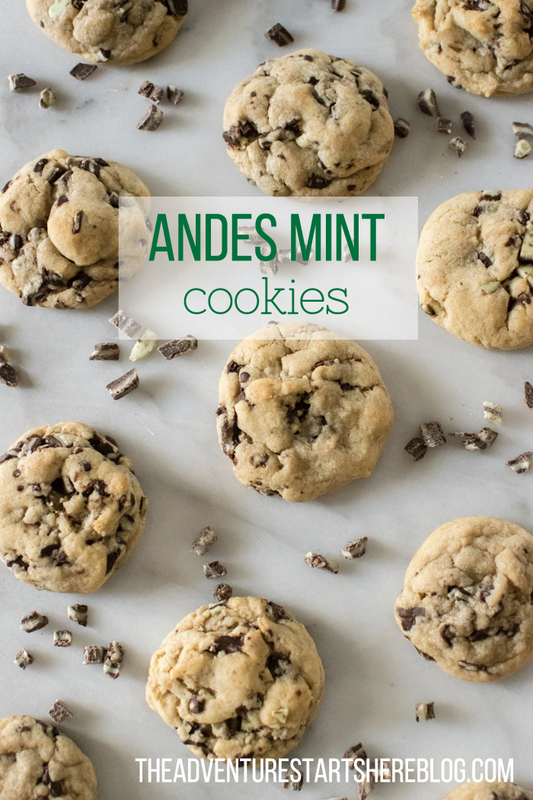 Andes mints are one of my all time favorites so I NEED to make these! I am not a chocolate fan, but I love Andes Mints. These look and sound amazing. You are speaking my love language with any and all things Mint. I totally love those Andes mints after eating at Olive Garden!! I chuckled after reading that ;) I took a screenshot of this, I gotta make these. Wow these look good! I'm kicking myself for not picking up Andes mint baking bits at the store today. 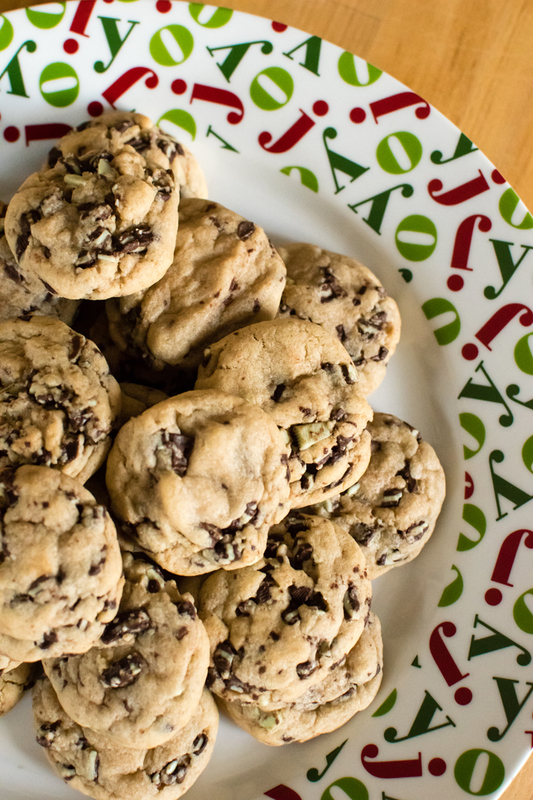 They're such pretty cookies - they'd make a perfect neighbor gift :) Can't wait to give them a try.